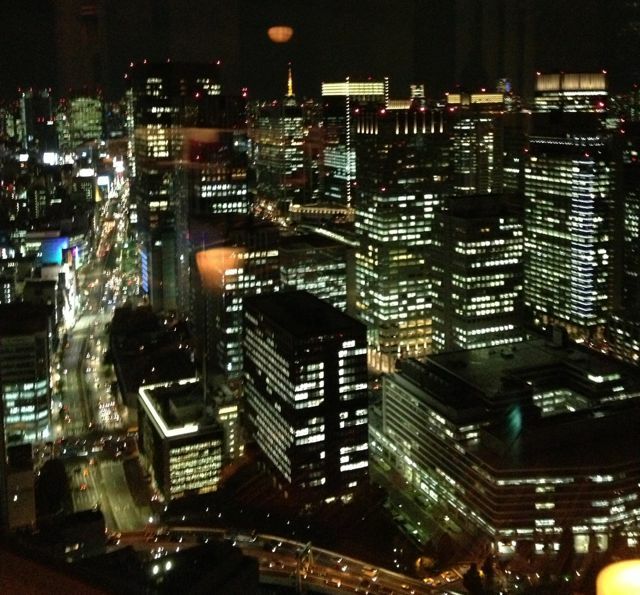 November 3, 2012: Tokyo Day #6! Pizza Seirinkan! 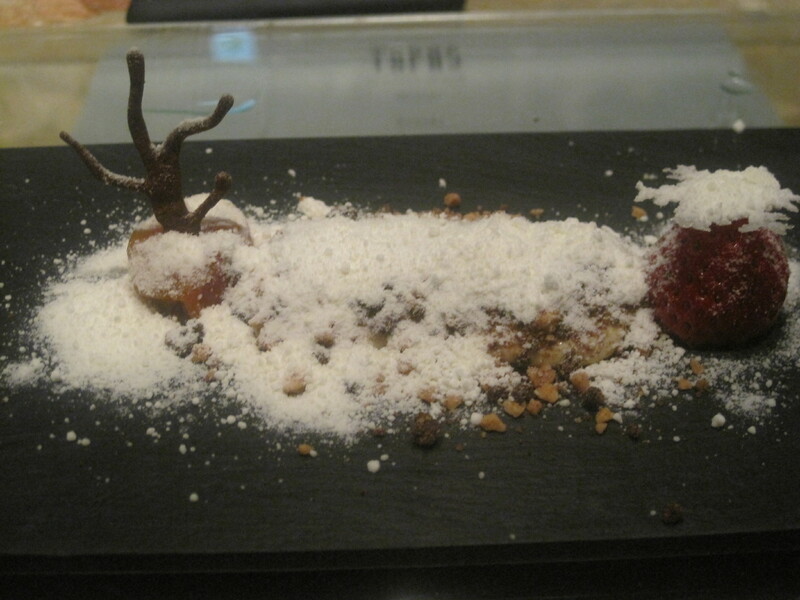 The Molecular Tapas Bar! The place is surprisingly easy to find, a mere two minute walk from the Naka-Meguro subway station. It opens at 11:3o but, on this day, we got in early at approximately 11:26 a.m.
Yukina (the strawberry princess) and Akemi. 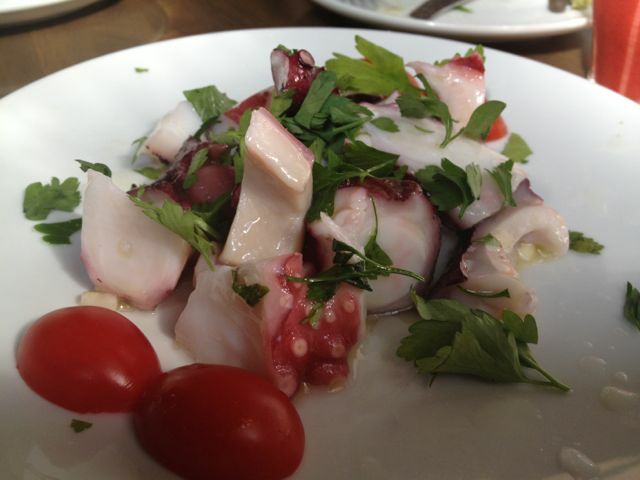 We did the octopus starter. Tasty but a tad chewy. Mogu-mogu as Akemi put it. 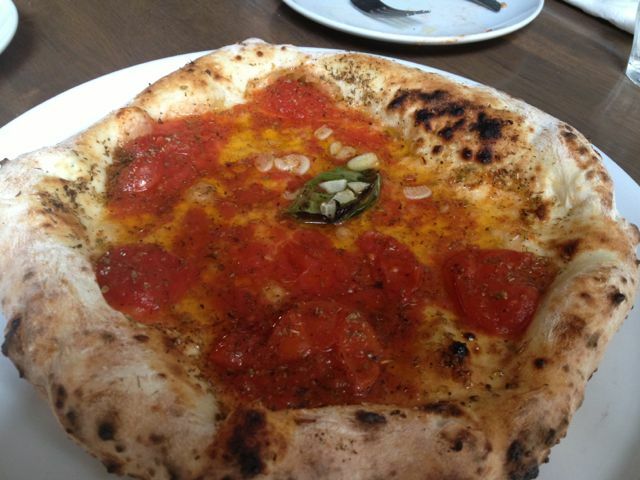 There are only two types of pizza on the menu at Seirinkan. But, really, you don’t need anymore. Why mess with perfection? 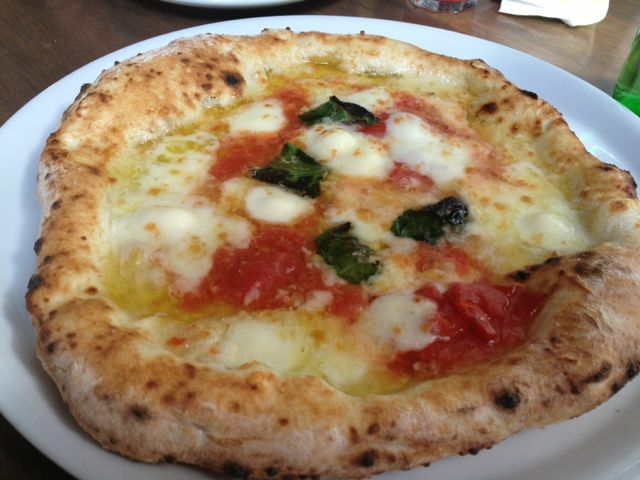 The Margherita is my favorite. While Akemi preferred the more garlicky Marinara. It’s all in the dough. I had the matcha coming and the custard going. They’re sweet, cream-filled pillows from heaven. The view from the Mandarin Oriental Hotel lounge. Akemi called it beautiful. I’d lean toward terrifying. The Sparkling Muscat. Like eating sweet, carbonated jelly. 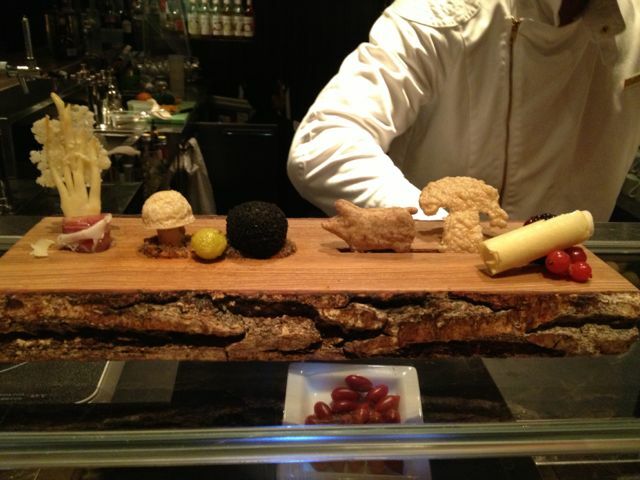 From left to right: A porcini puff, mushroom cappuccino, crispy gingko, truffled potato, hunting pig (a bacon biscuit), matsutake gohan (a matsutake mushroom rice cracker), and an apple-manchego cigar. Please, don’t eat. 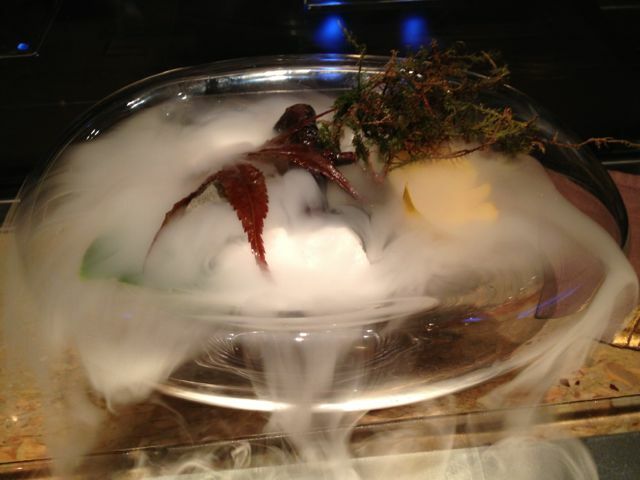 The dry ice is just for show. An incredibly aromatic shitake mushroom soup. 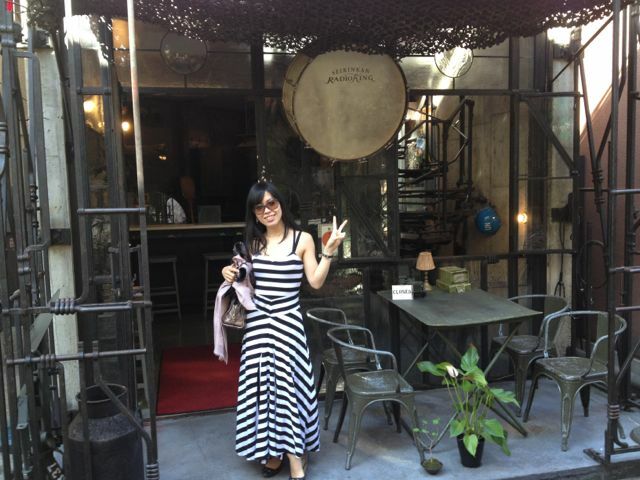 Akemi says it was the best thing she’s eaten so far on this trip. Totemo natsukashii! 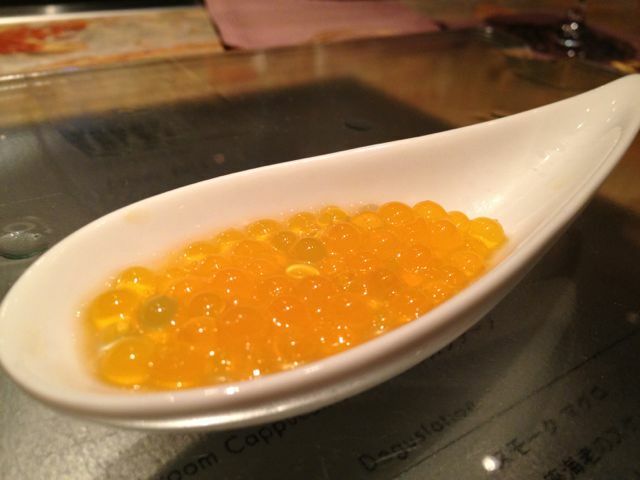 Passion fruit caviar. They burst in your mouth like fruity salmon eggs. Akemi usually isn’t a fan of smoked foods so I thought I’d get to finish hers off. Unfortunately for me, she loved it. 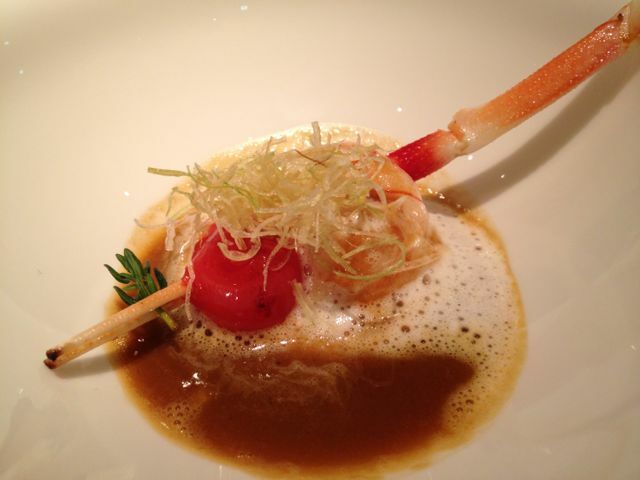 Langoustine Suquet – scampi in a Catalan broth. 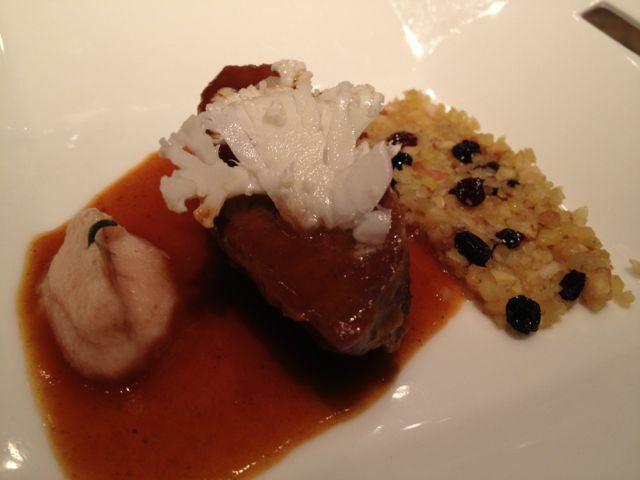 Braised Iberico pork cheek. Guess what the cauliflower-looking stuff is. If you guessed cauliflower, you’re right. Siu long bao. Actually, a reverse take on the Chinese soup dumpling. 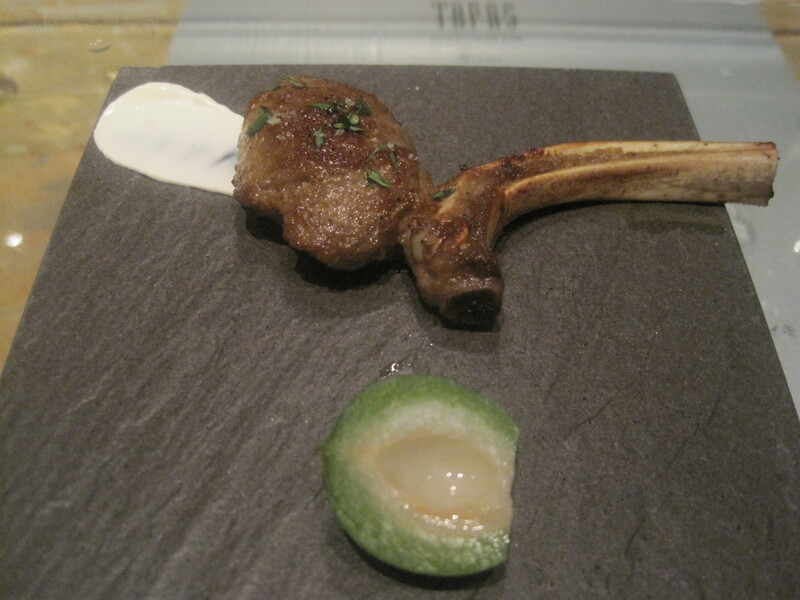 The lamb chop holds a pocket of the hot broth that has been injected directly into the meat. You’re cautioned to eat it all in one bite at the risk of making a mess. Accompanying the chop is a yogurt dipping sauce and some baby peach. 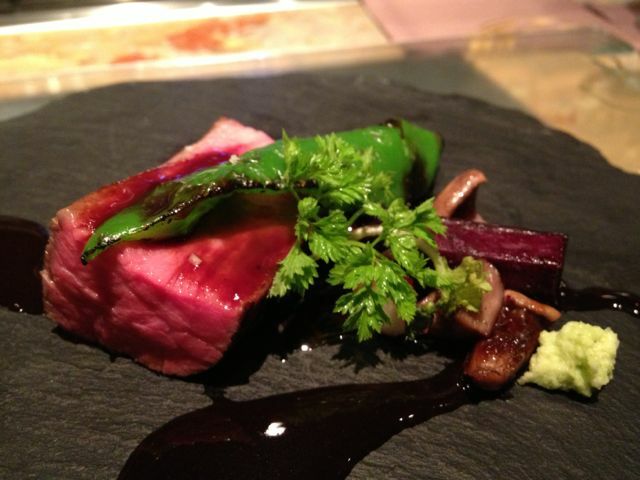 Wagyu cooked sous-vide for six hours. Dobinmushi. 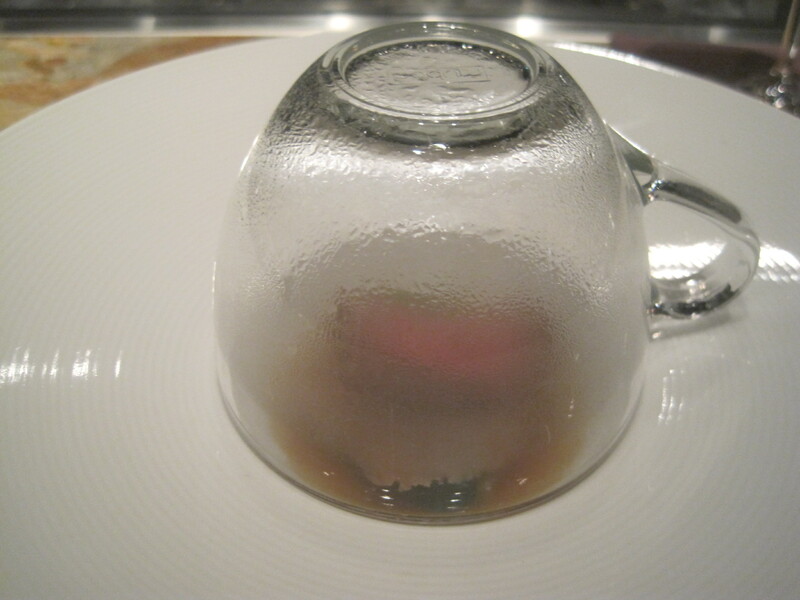 Their take on the class soup sees its main ingredients encapsulated in a translucent globule created by dropping the soup in calcium water. And then it was on to dessert. 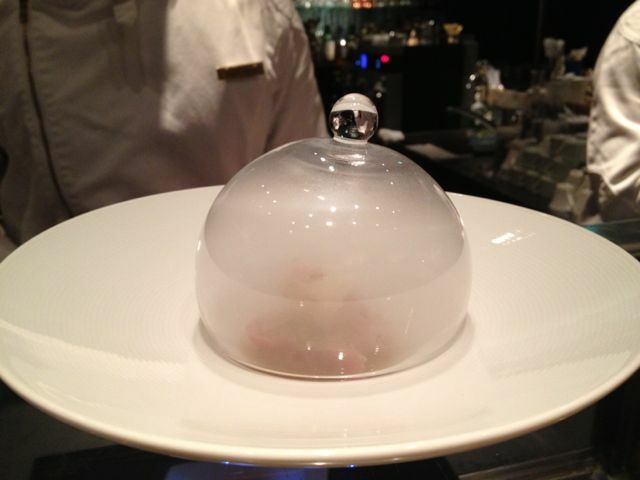 We started with the “puff”, liquid nitrogen-dipped meringues that literally puffed in your mouth when chewed, venting its smokey self out of the nose’s of unsuspecting diners. 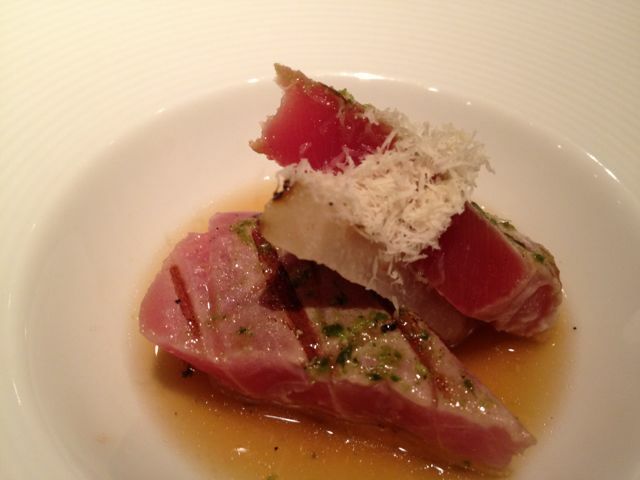 An intricate and beautiful dish. 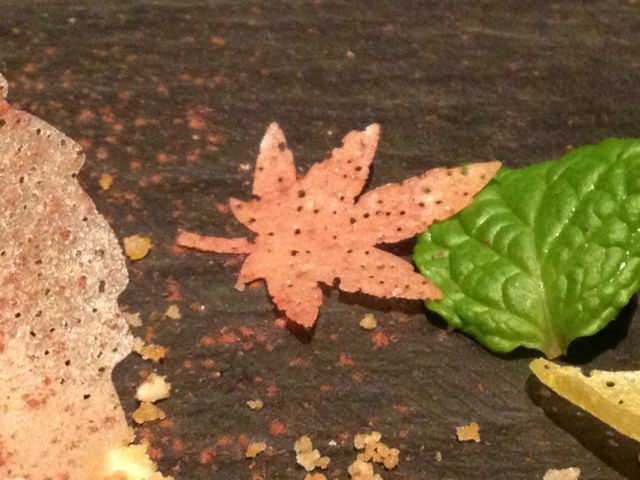 Those maple leaves are painstakingly constructed from wonton wrappers. But the highlight for me was the acorn ice cream. Clockwise from the top: Buttery-great popcorn cotton candy, a lemon-olive oil gummy, szechuan meringue, uber-tart raspberry soda (in wafer for), and chocolate pumice. 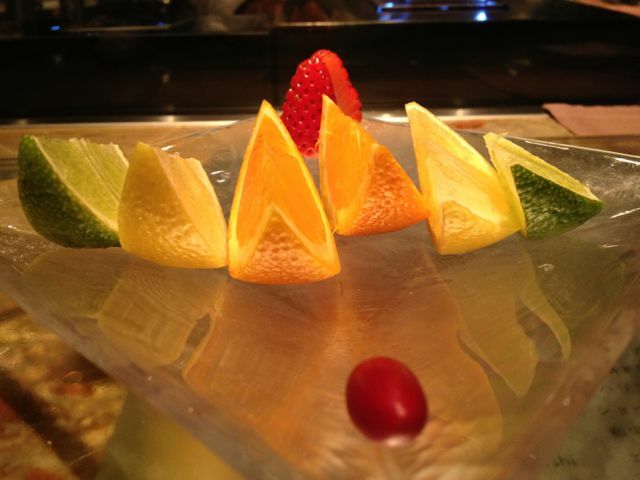 And we finished with the restaurant’s trademark miracle fruit closer. 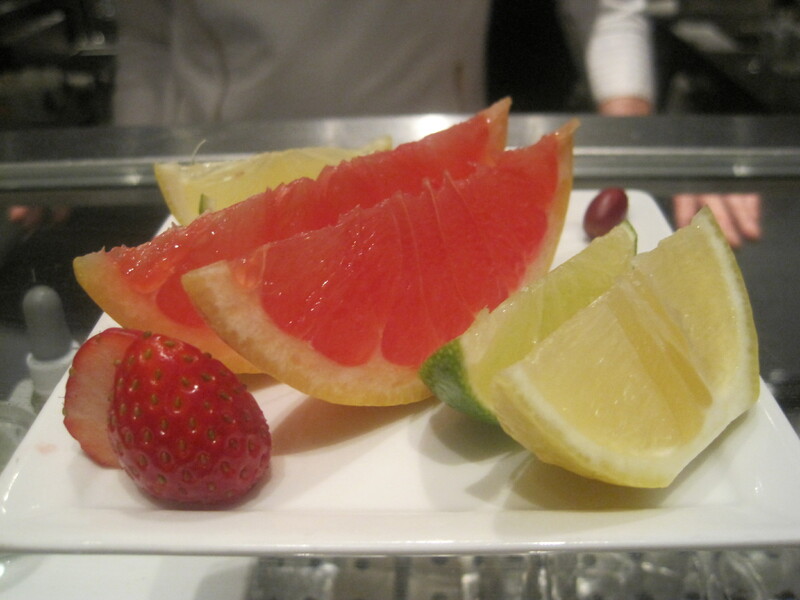 I’ve got to find a source so I can throw my own miracle fruit party where I can serve lemon wedges and vinegar shots. 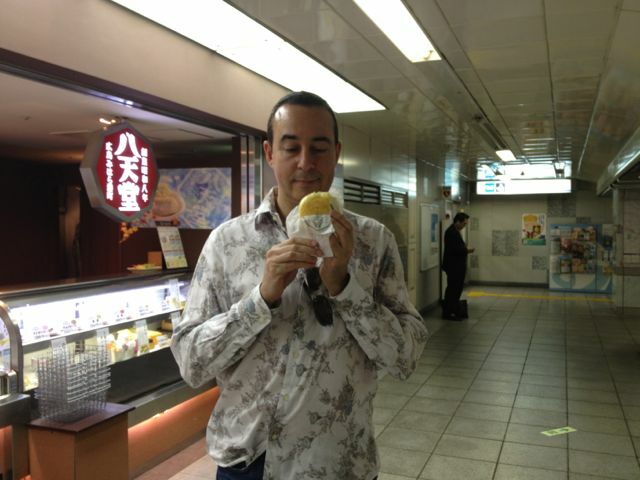 Another day in Tokyo, then hopping on the bullet train and heading over to Osaka for a couple of days. 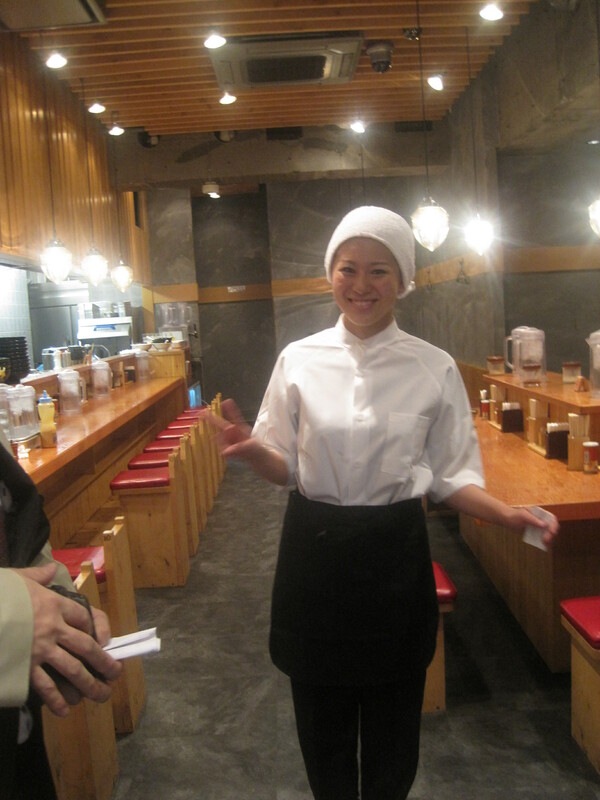 December 14, 2010: Tokyo Travel Day #8! 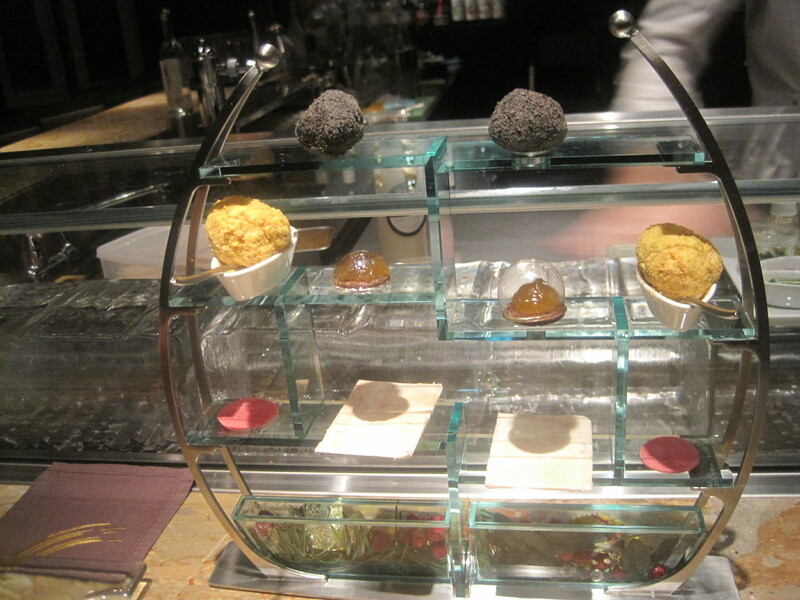 The Molecular Tapas Bar! Hokkaido Ramen Toro! 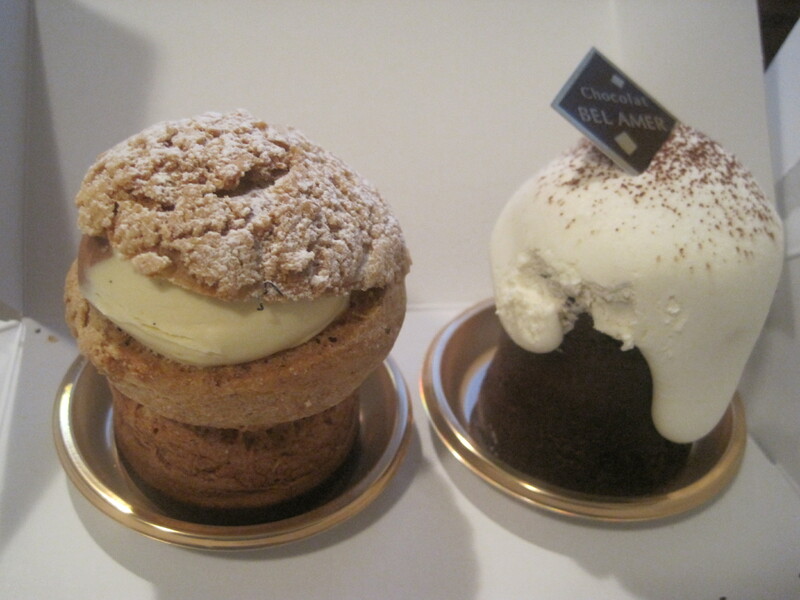 Some so-so desserts! And work follows me halfway across the globe! Back in Vancouver when I was organizing this trip (a.k.a. = our eating schedule) I asked Ivon if there was any particular food or restaurant he wanted to try. 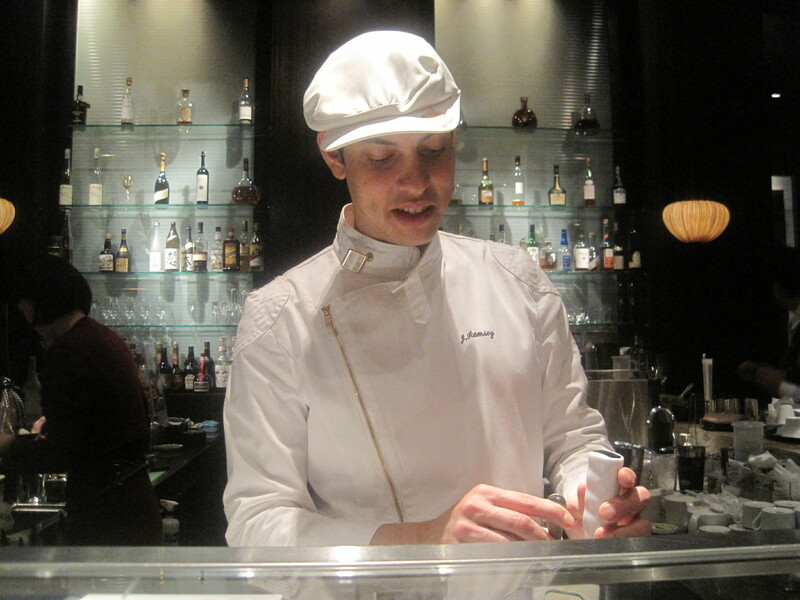 To his credit, he wanted to try everything – but there was one place in particular place he wanted to visit while in town: The Molecular Tapas Bar at the Mandarin Oriental Hotel, the home of molecular gastronomy here in Tokyo. Yesterday marked my third visit to the restaurant and, as always, Chef Jeff Ramsey (a student of José Andrés back in Washington, D.C.) never fails to impress. 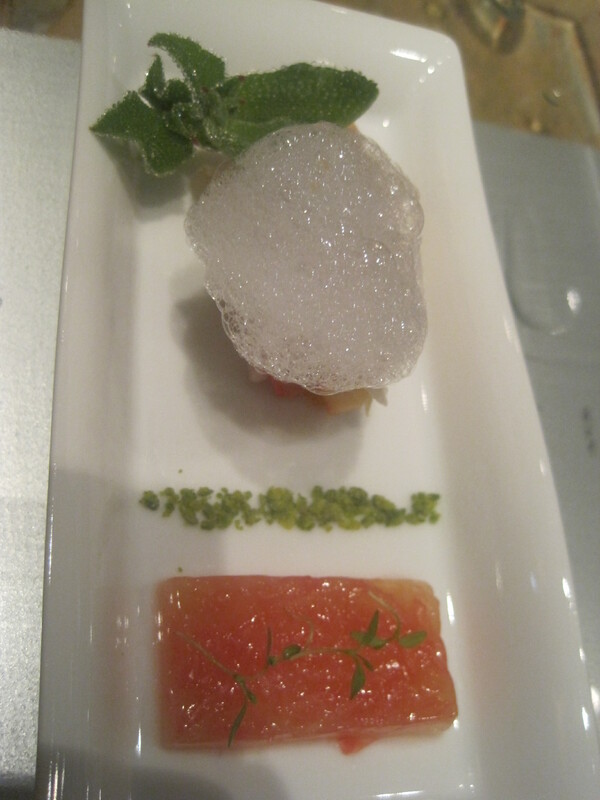 Madarin Oriental Hotel ice cubes. Ivon's pre-dinner cocktail. 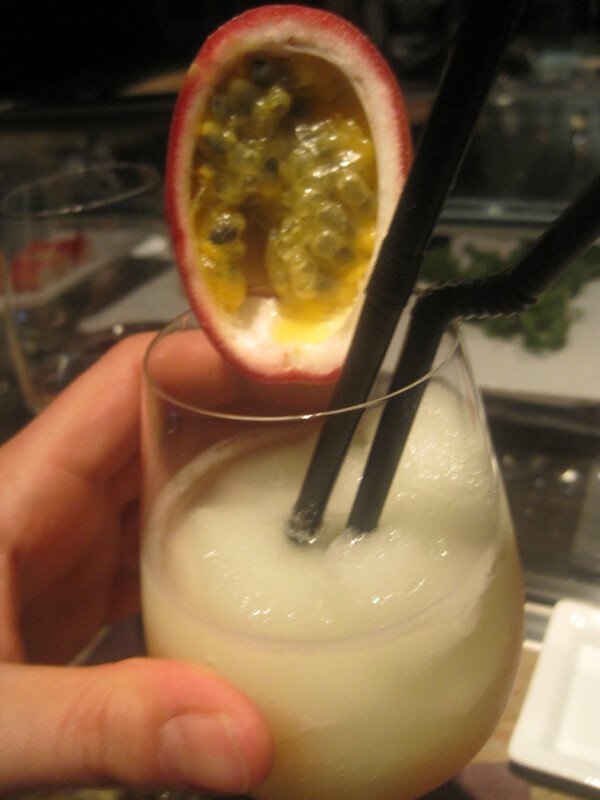 He was instructed to scrape the passionfruit down and into the glass with the rest of the drink. 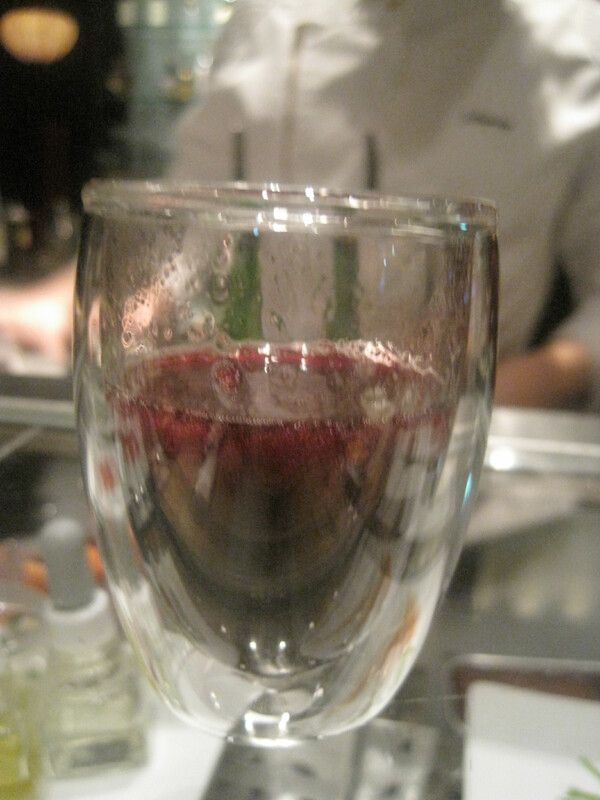 Aperitif: We were instructed to drink the non-alcoholic fruit beverage from the 6:00 o clock position. When we did, we were surprised to discover that half the drink was warm while the other half was cold. Simultaneously. 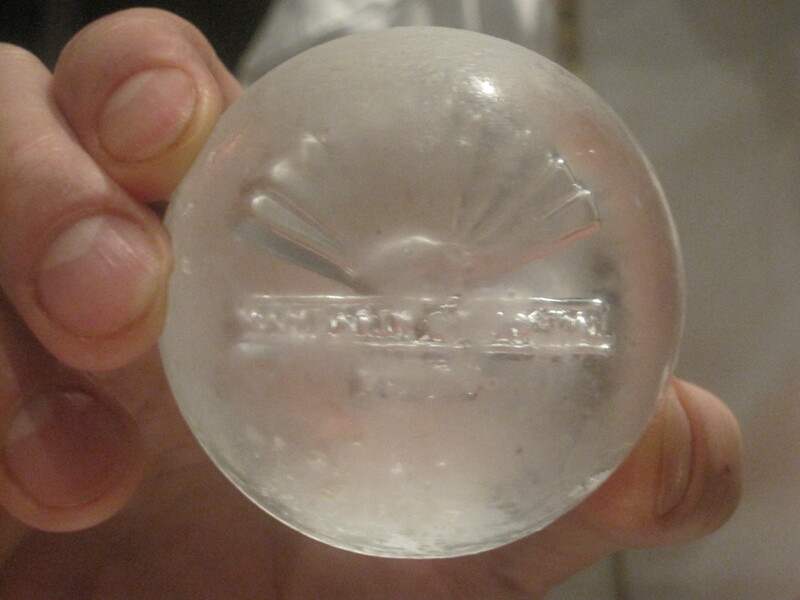 You could actually feel the dividing line in temperature as it played over your tongue. 38 Degree Salmon. 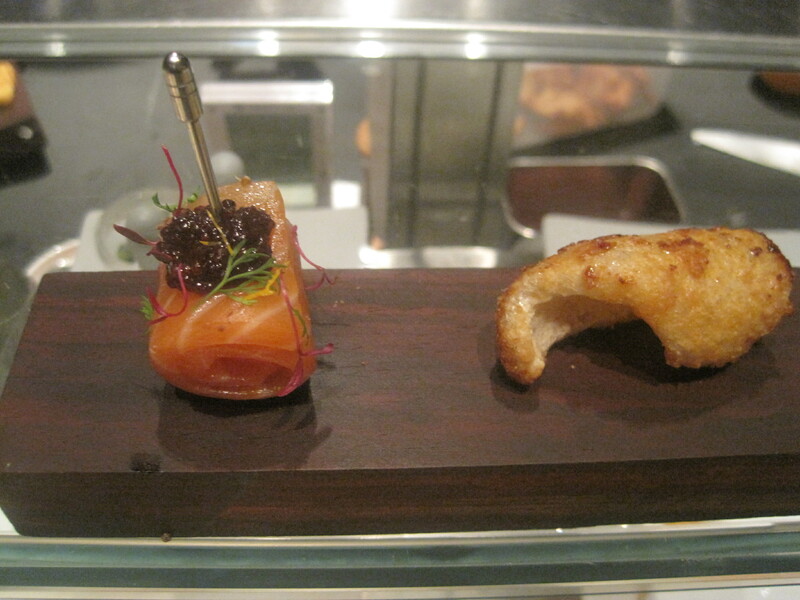 The pork puff on the right was given a nice, sweet charge with the addition of maple syrup. 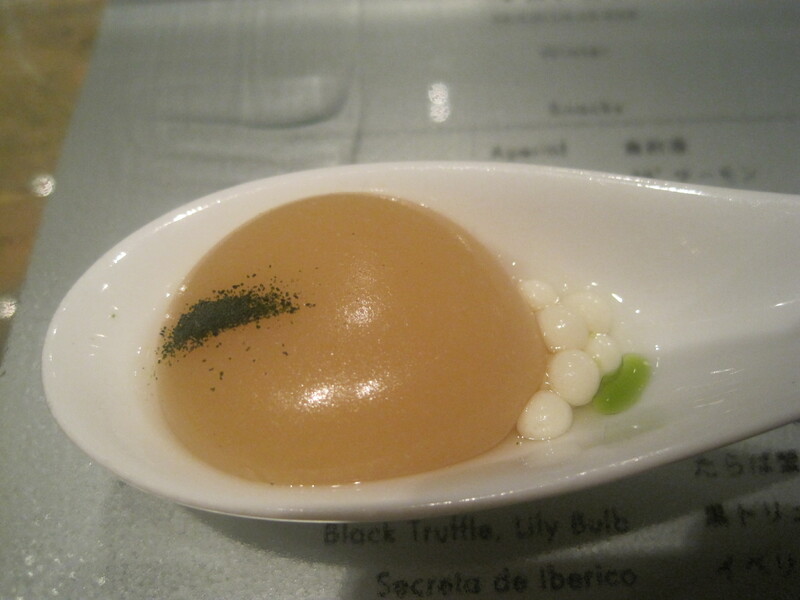 Bacalao Espuma. Keiko's favorite! 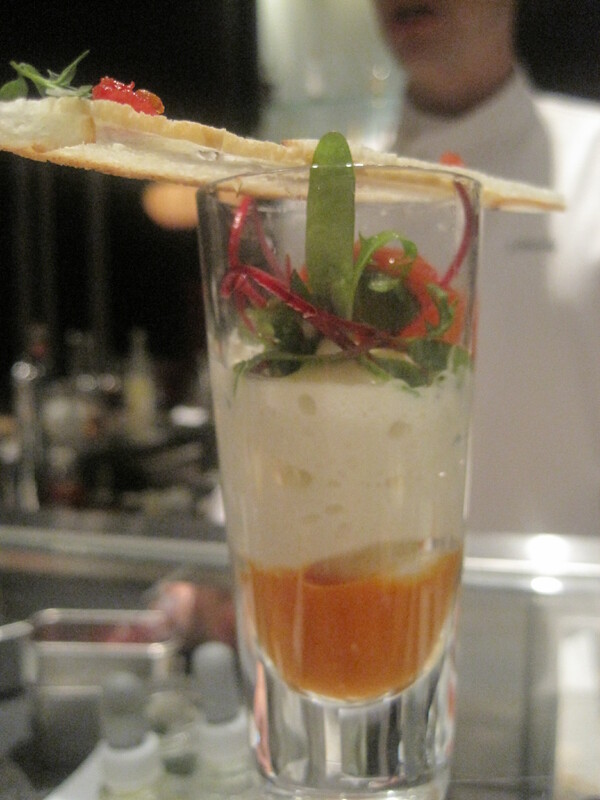 The dish delivered the flavor of the salt cod dish in cream mousse form. 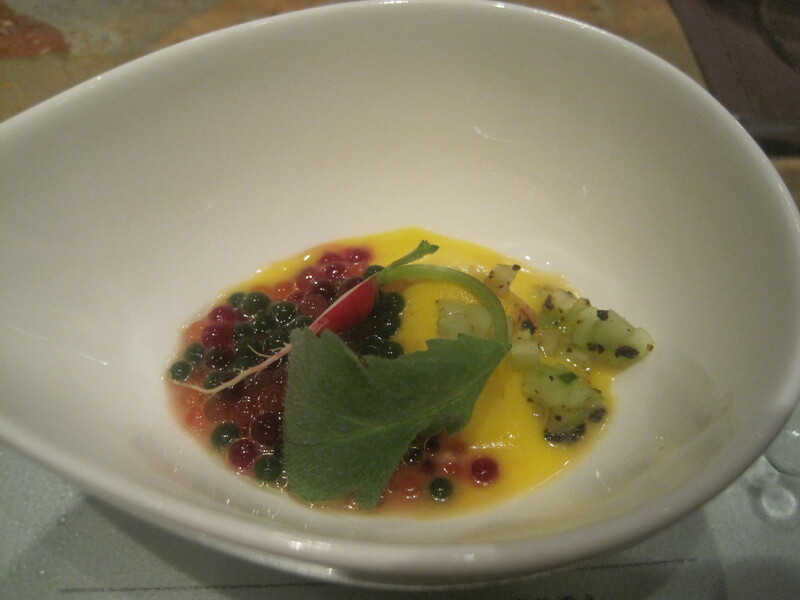 The result = Garden Caviar which includes the tiniest baby radish I've ever seen. Tai Chazuke. 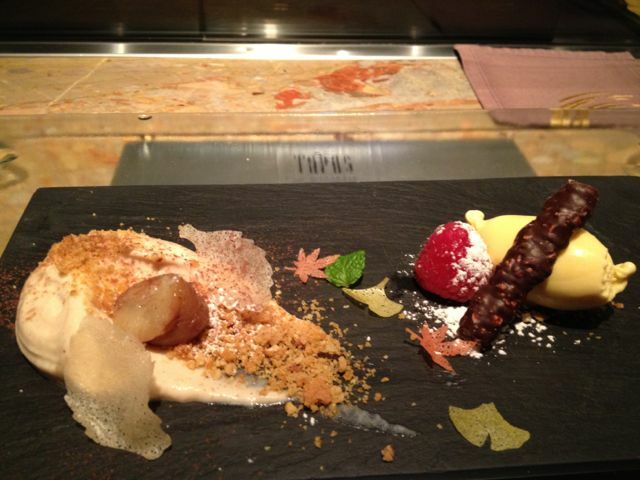 A deconstructed version of the Japanese classic. 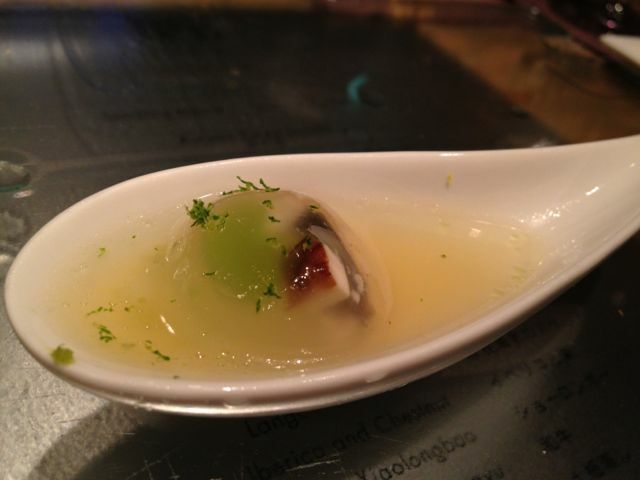 The broth is contained in a separate gel capsule that bursts in your mouth, mixing with the sea breem and conveying that familiar Tai Chazuke flavor. 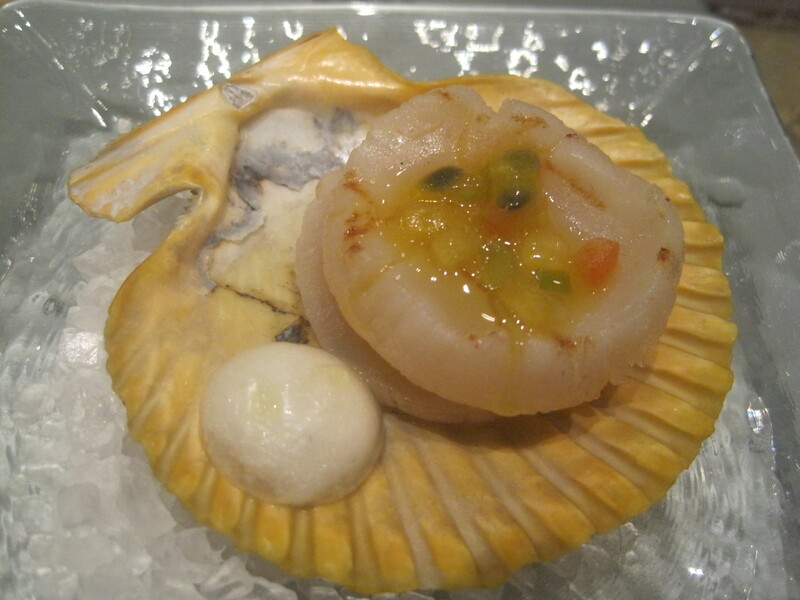 Scallop with Cultivated Pearl. 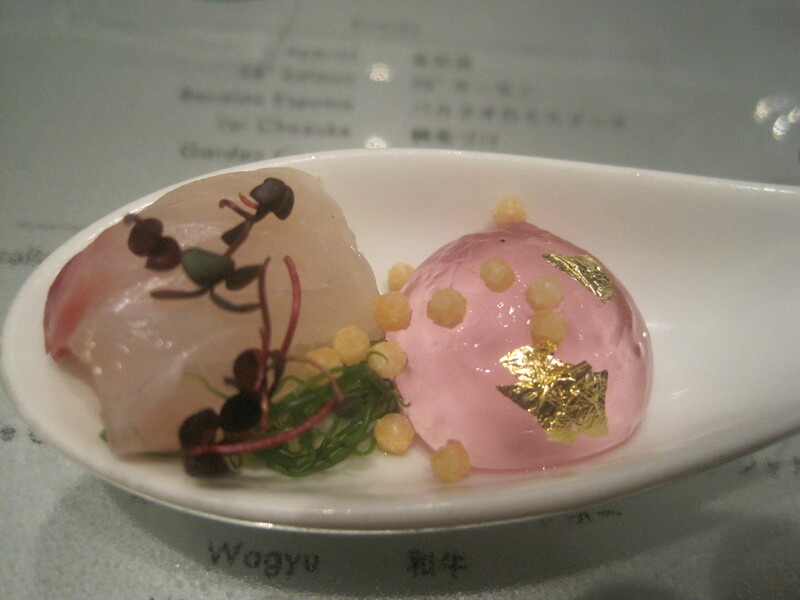 The pearl is actually encapsulated yogurt. The scallops were tremendous. One of my favorite dishes. Spider Crab with Jamon. The Iberico pork is wrapped around the crab, forming a tasty savory skin that marries nicely with the sweetness of the crustacean. Chef Ramsey at work. Worked six years as a sushi chef before heading to Washington D.C. and learning the craft from one of the masters of molecular gastronomy. Black Truffle, Lily Bulb. Wow! 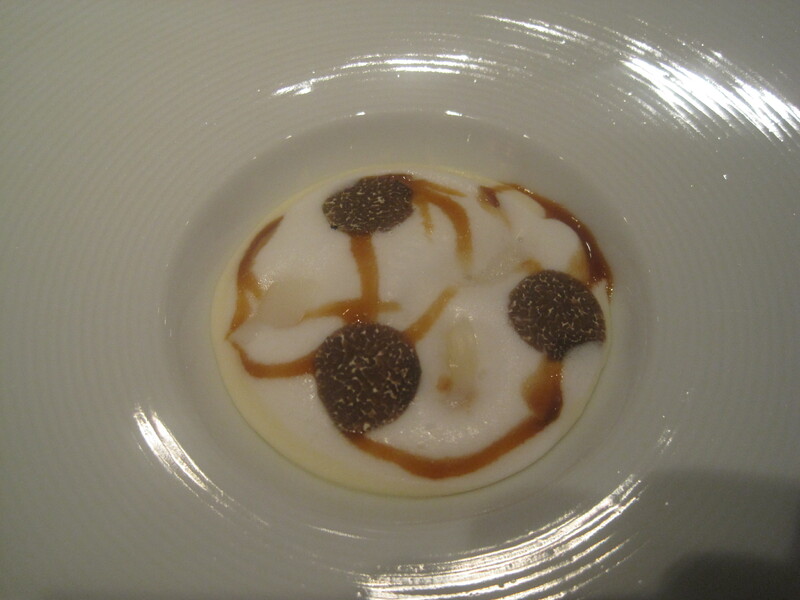 The foam delivered an intense yet sublime truffle essence. This one was one of everyone's favorites. 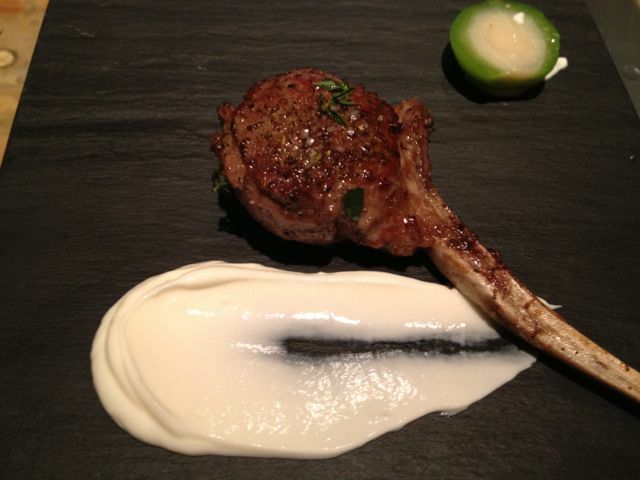 Secreto de Iberico. Once the glass was removed, the essence of cherry wood chips wafted up. 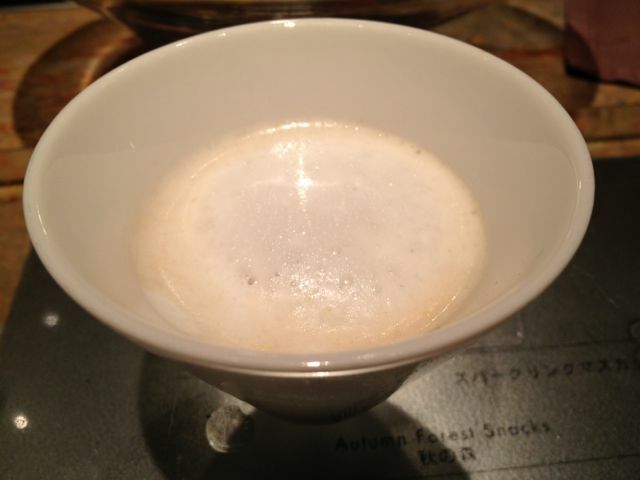 Foie Gras, Coffee, Potato. 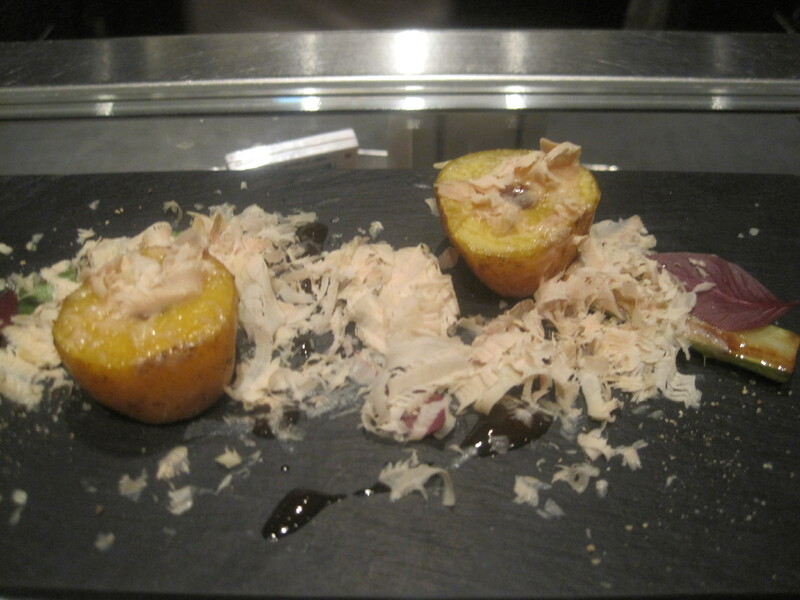 The foie gras melted, marrying wonderfully with the varying tastes and textures. Xiaolongbao. 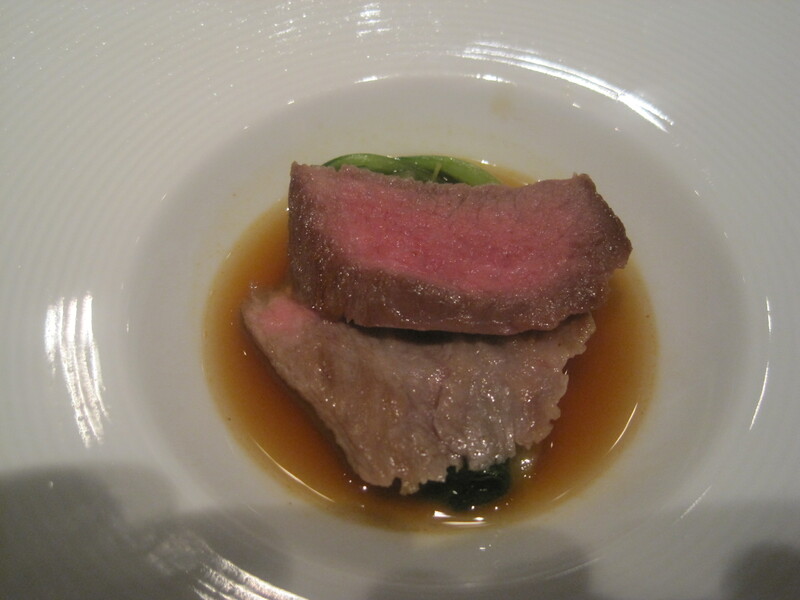 Chef Ramsey's version of the Chinese dumpling in which lamb holds a pocket of broth. Delicious. As was the very young peach that accompanied it. Wagyu. Ivon's favorite dish. 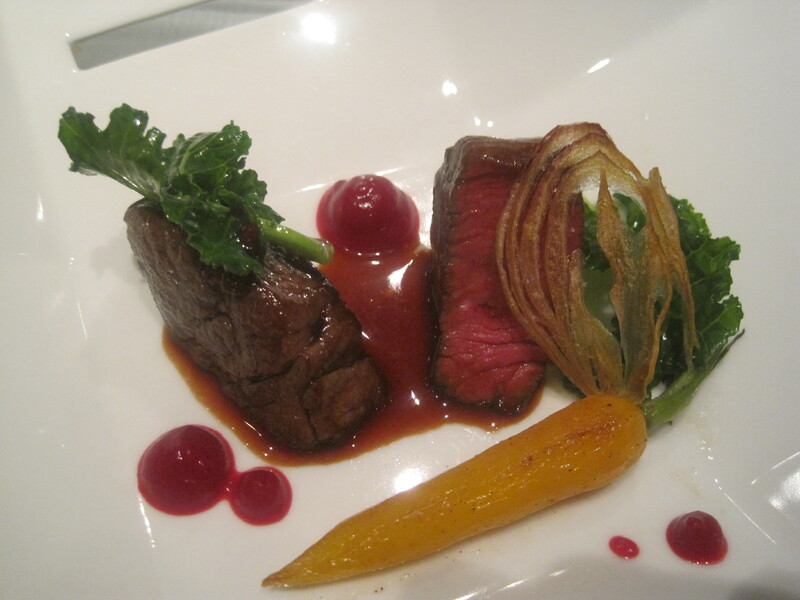 Incredibly tender and flavorful. Miso Soup. Again, a deconstructed version of a classic. 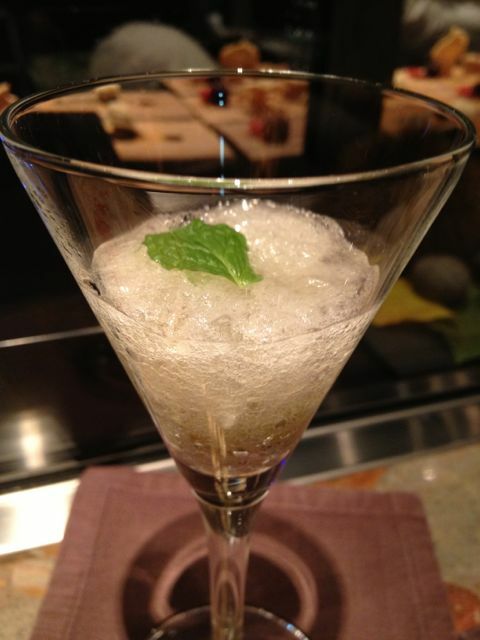 Served separate on a spoon, the various elements combine in your mouth to deliver the familiar flavor of miso soup. 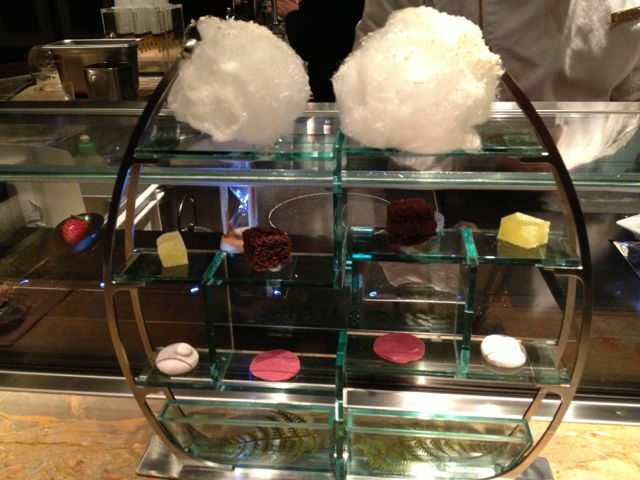 Assorted desserts including cinnamon toast (made of flattened cotton candy), an uber-tart berry pill, a tiny pie sealed in a transparent sugar dome, an amazing Mont Blanc in marshmallow form, and a dark chocolate truffle with actual black truffle. Fruit (Miracle and others). We were instructed to sample the sour fruit, then told to pop the miracle fuit into our mouths (the little red jellybean on the left there) and eat the flesh around the seed, holding it in our mouths for one minute. When we spat out the pit and sampled the fruit again, they were sweet. I've done this gag countless times and I never tire of the taste of sweet lime. The verdict? Fantastic. Ivon was particularly pleased since he found the experience educational and entertaining. And, of course, delicious. As for me – as I said, it was my third visit and, like my return visits to Tokyo itself, I love the fact that it offers the best of both worlds: a familiarity sprinkled with plenty of surprises. By the time dinner wrapped up it was ticking past 11:00 p.m. and way past our bedtime. Yet again, we elected to forego a night of partying in favor of the errratically fluctuating temperatures of our respective hotel rooms. And bed. I woke up the next morning parched, bleary-eyed, and feeling slightly hangover. This despite the fact that I had maybe one drink the previous night. I figure if I’m going to feel like this every morning, then, hell, I may as well drink! Following a leisurely morning, we headed to Shinjuku where I could pick up some of the bare necessities Akemi requested (at Barney’s of New York). It was a rainy, cold day, so we ended up buying crappy umbrellas and – yet again – losing our way. But it was perfect ramen weather, and we wound up finding the perfect lunch stop: Hokkaido Ramen Toro. You put your money in, then choose your ramen base (I chose the spicy), your extras (I chose extra pork), and other side dishes you may or may not get (I chose the gyoza that never came). 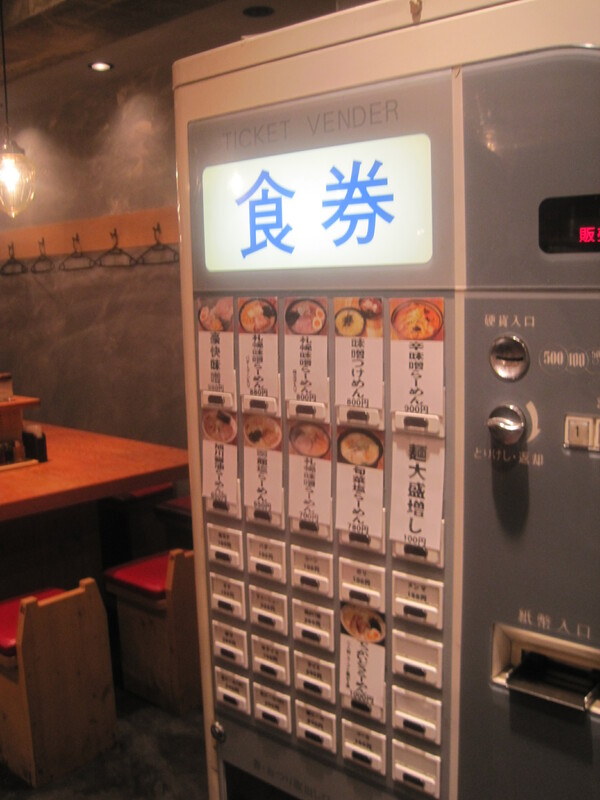 Once we’d paid and made our selections, the machine spat out these tiny tickets with our order which we handed our super-lovely waitress, then we grabbed our seats. 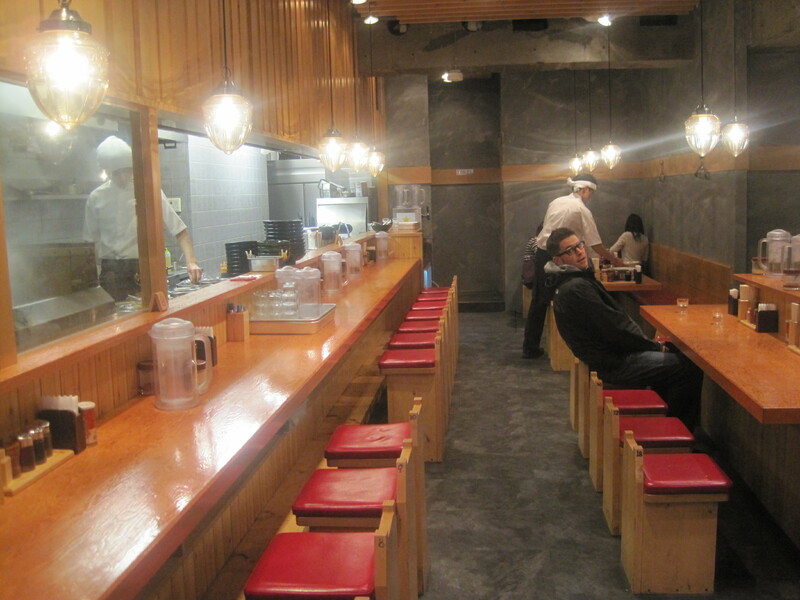 Check out the sad, lonley salaryman sitting by himself at the - oh, wait. That's Ivon. A hearty bowl of ramen in a nice, rich broth. 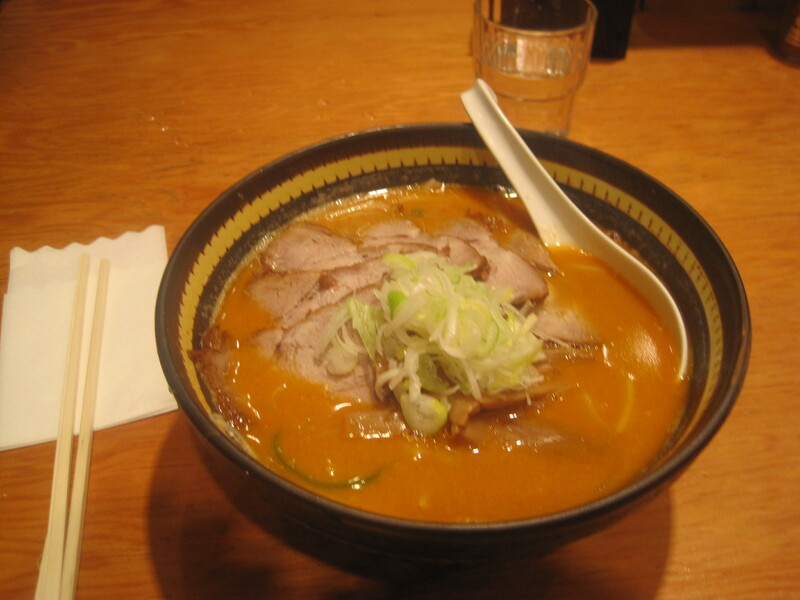 It's no wonder there are more ramen-ya's in Tokyo than sushi-ya's. Our waitress was a sweetheart. 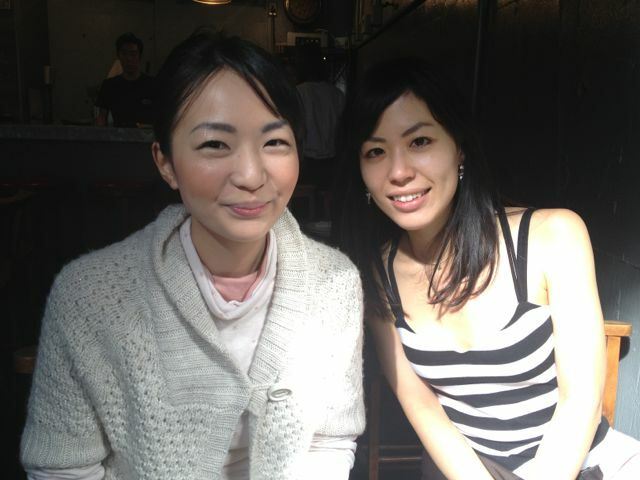 She gave us directions to our next stop, Isetan, then returned moments later with a map she'd drawn on the back of napkin. 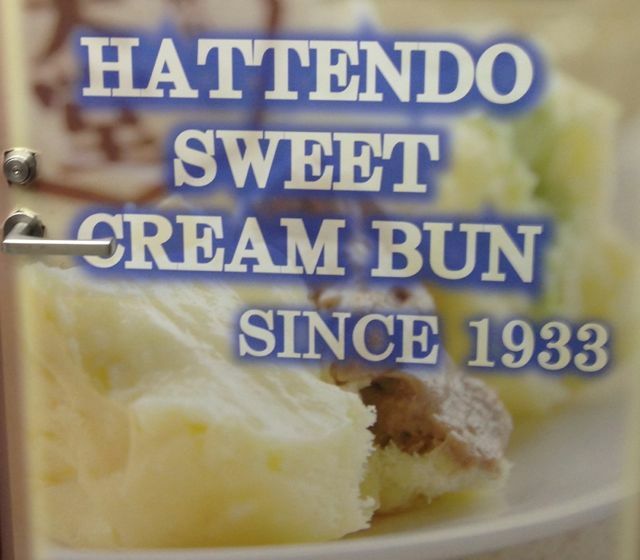 Serving up a wide assortment of cream-filled waffle sandwiches. So-so. Ivon finished his only because he didn’t want to carry it around like that empty can of Coke he held onto for two hours because garbage bins in Tokyo are about as rare as panda sighting. 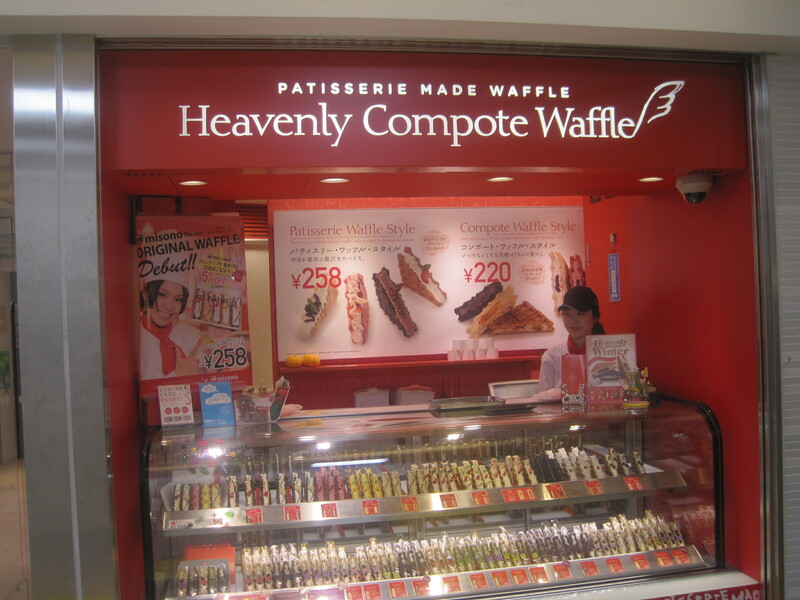 I only took a few bites of mine, then ended up carrying the half-eaten waffle around, getting cream all over my hands while Ivon continually reminded me how much I was shaming him. Boy, this looked amazing! My biggest disappointment since those frozen gaudy doughnuts. 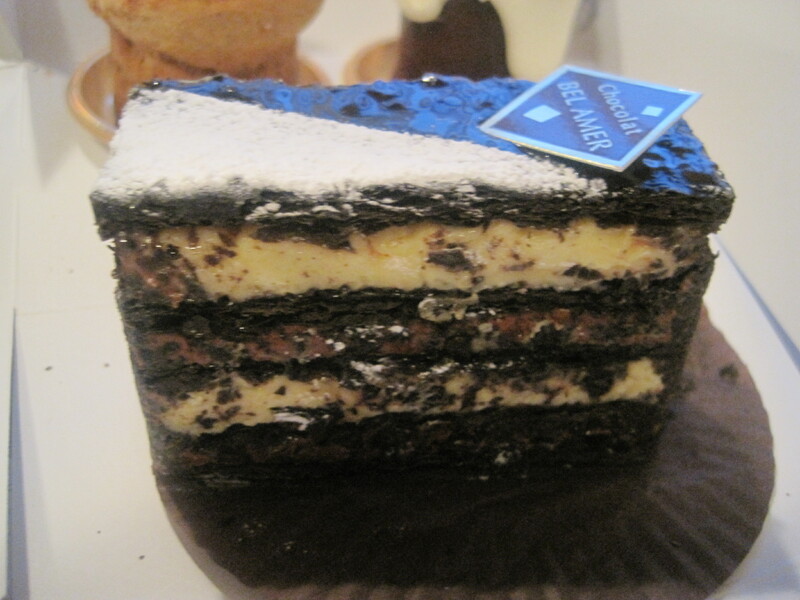 The one on the left was just alright, but the one on the right - dense, rich dark chocolate cake with cream - was fantastic. When I got back to the hotel, I found a FedEx envelope awaiting me. What was inside? 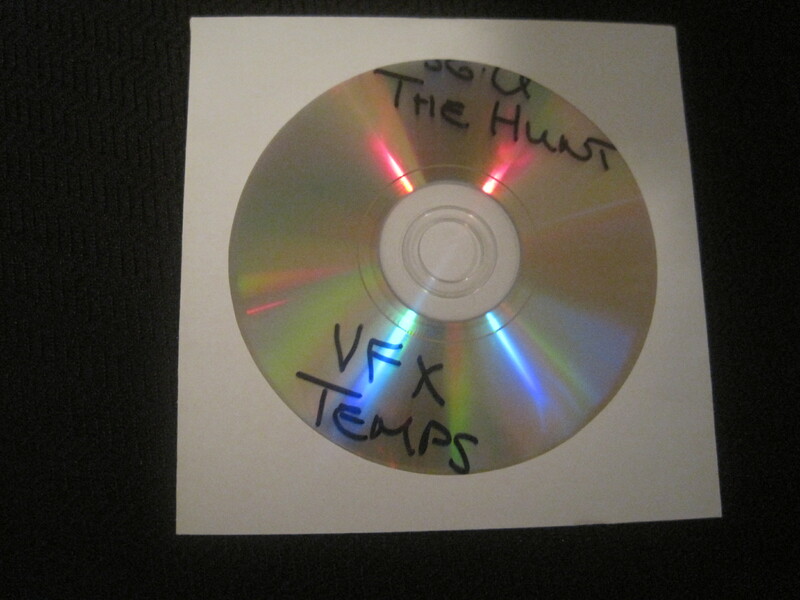 Temp VFX's for The Hunt! Awesome! I hurried over to my new laptop to watch them – only discover my new laptop doesn’t have a cd/dvd drive. And so, I ended heading down to the business center to watch ’em. Wow. Mark Savela and his crew do it again.